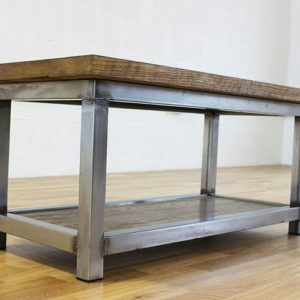 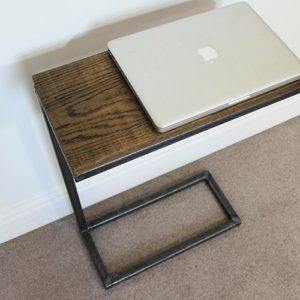 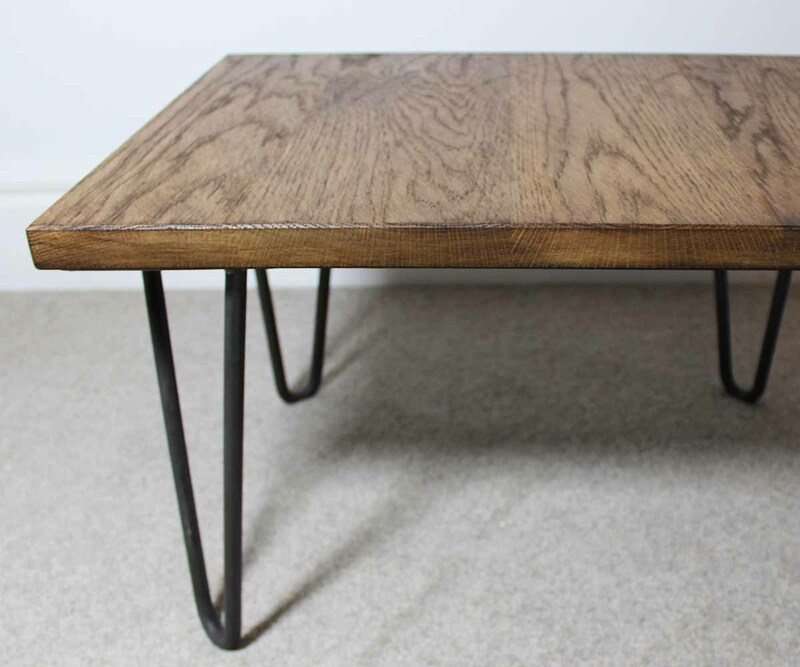 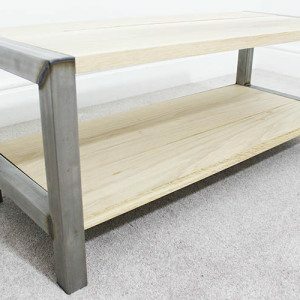 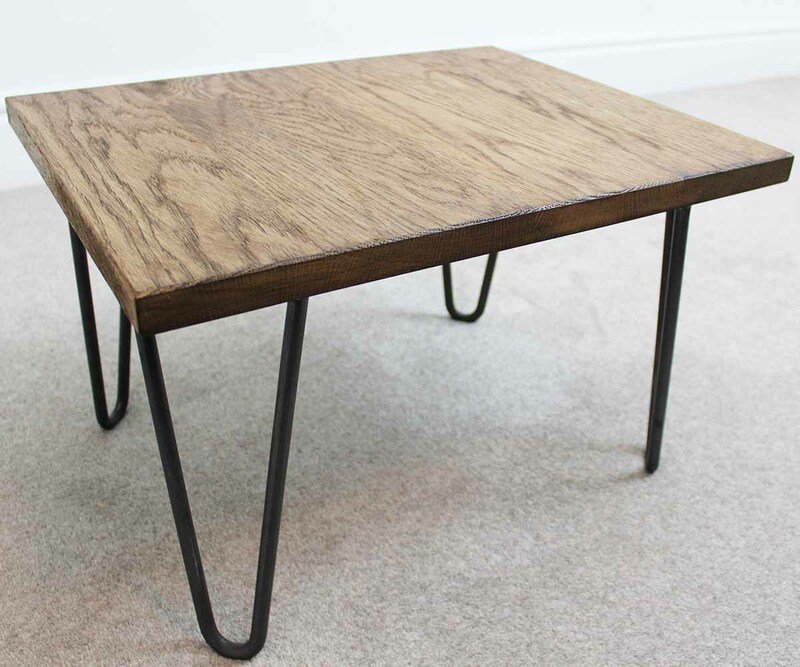 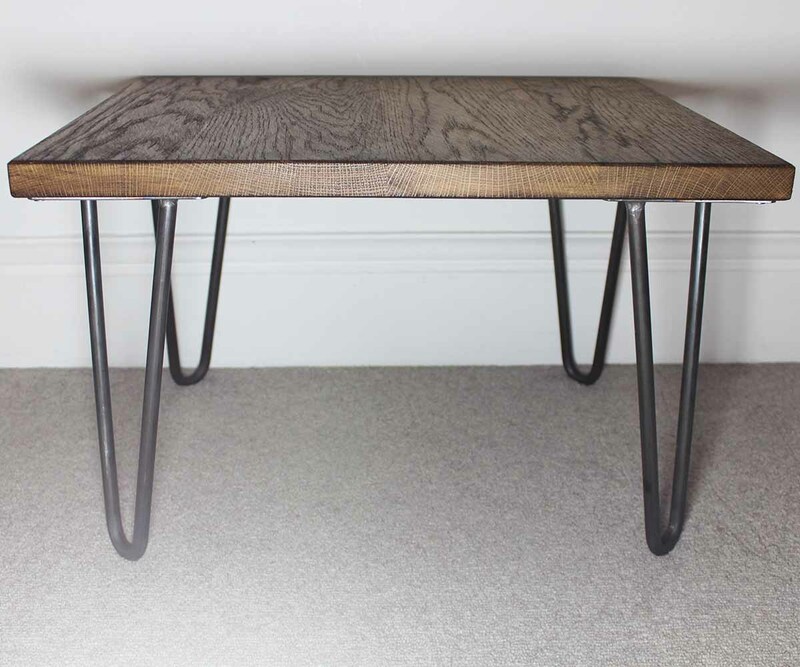 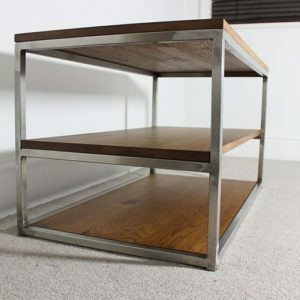 The Trace Hairpin industrial style coffee table offers a simple and smart design using 4 raw steel hairpin legs combined with the solid oak table top. 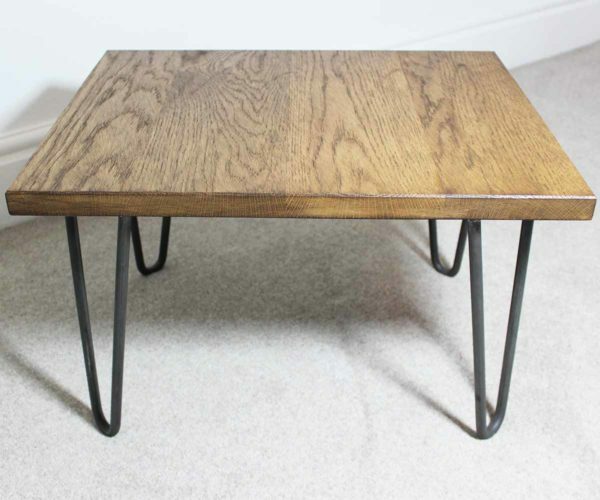 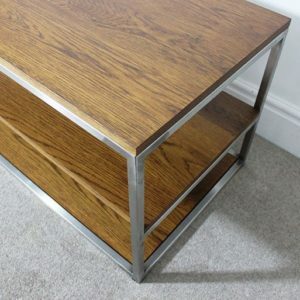 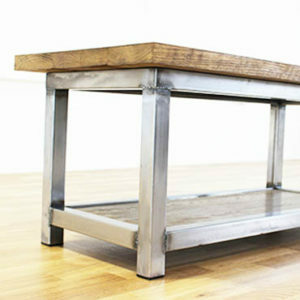 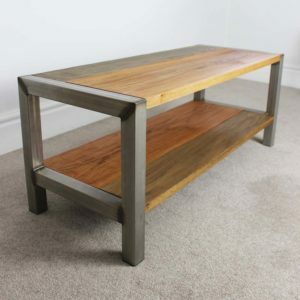 This coffee table contains a solid one-piece 25mm oak top, cut from the finest piece of wood. 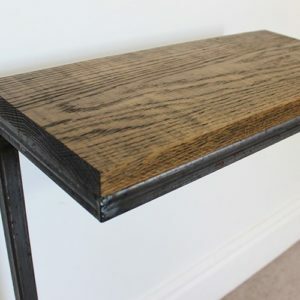 The product is treated with a Dark Oak dye and completed with a hardwax oil treatment for protection.